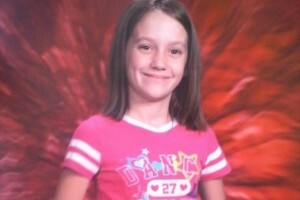 12 year old Adrianna Horton has been missing since in Golden City, MO. Horton was seen getting into a vehicle Monday afternoon at 5 pm. The vehicle was later stopped at about 6:30 PM, the suspect was taken into custody; however, the child was not the car. Adrianna Horton is still missing. Police continue the search for missing Adrianna Horton. The sheriff says she was seen getting into a vehicle in Golden City around 5:00pm Monday afternoon. The vehicle was stopped an hour-and-a-half later with the suspect being taken into custody, but Horton wasn’t in the vehicle. The FBI and Missouri Highway Patrol are also assisting with the search. A helicopter could be used at daybreak Tuesday if Horton isn’t found. Horton is described as 4’ 5” tall and weighs 70 pounds. She has short brown hair, brown eyes with a fair complexion. The Barton County Sheriff’s Department has issued an Endangered Person Advisory for a missing person incident that occurred at Golden Ave at High St, Golden City at 5:15 P.M. on August 19, 2013. The endangered missing person: Adrianna Horton, is a white, female, age 12, hgt 4’05″, 70 lbs, short brown hair, brown eyes, fair complexion, wearing pink t-shirt with hearts on it and jean shorts. Brief circumstances regarding the Endangered Missing Person incident (Include pertinent medical, mental, or other well being information): Adrianna Horton was observed getting into a vehicle at approximately 5:00 P.M. on August 19, 2013. The suspect and vehicle were located at approximately 6:30 P.M. on August 19, 2013. The suspect has been taken into custody and the vehicle impounded. Horton is still missing. Investigators have scheduled a briefing for 10:00 Tuesday morning where more details may be released. UPDATE I: 34 year old Bobby Bourne has been charged with the kidnapping of 12 year old Adrianna Horton. Bobby Bourne, the man who has been charged with kidnapping of 12 year old is described as a family acquaintance. 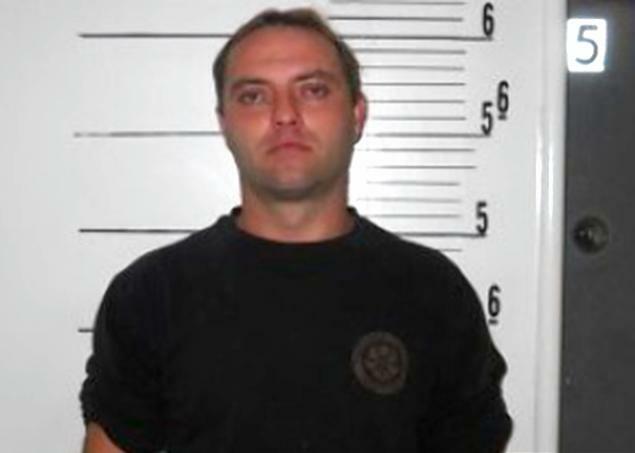 Bourne is being held in the Barton County jail on $1 million bond. 34-year-old Bobby Bourne is charged tonight with kidnapping 12-year-old Adrianna Horton. Police say the man from Lockwood was last seen with the girl in a park Monday. Horton’s eight-year-old sister said Bourne drove up to the girls three times while they were playing in the park. The girl said she turned around and her big sister was gone. Lydia said she ran to her grandmother’s house and told the adults that Adrianna had disappeared. For updates, read comments and opinions and provide your own go to Scared Monkeys Missing Person’s Forum: Adrianna Horton. If you’ve seen her call 911 or the Barton County Sheriff’s Office at 417-682-5541. UPDATE II: Sad news in the case of missing 12 year old Adrianna Horton. She has been found deceased. A body was found today in the search for a kidnapped 12-year-old girl, although authorities in Missouri said a positive identification had not been made. Adriaunna Horton’s father, James Horton, told KMBC-TV that his daughter’s body had been found. A spokesman for the Missouri State Highway Patrol declined to disclose where the body was found, KMBC reported, but confirmed the search effort for Horton has been suspended.